It's superb delicious than one piece is never enough for you. I love the moist, soft and crumble texture. And on the other side; it's not sweet...it's just perfect. 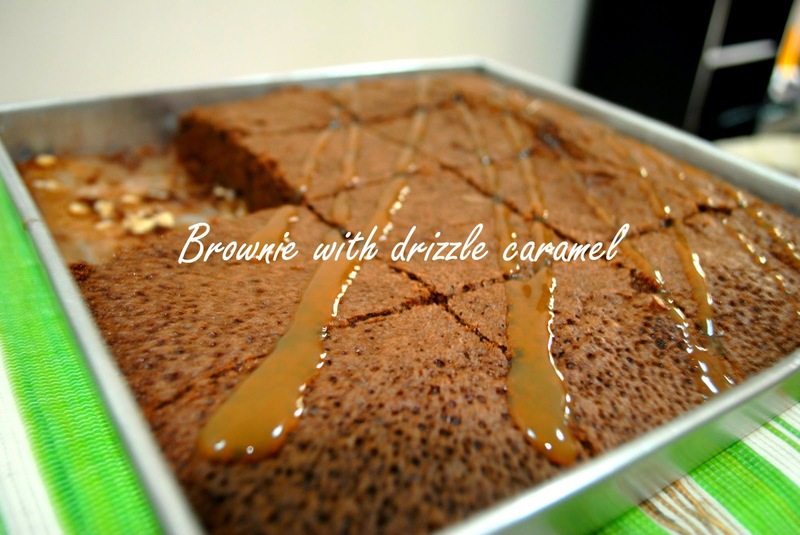 and drizzle some caramel syrup on top. 1. Preheat oven to 350 degrees. Grease a 9x9 square baking pan, or line it with parchment paper. Super easy and super good too Shazzy. I also like the thick topping on top. Perhaps you should have shared the recipe for it too.